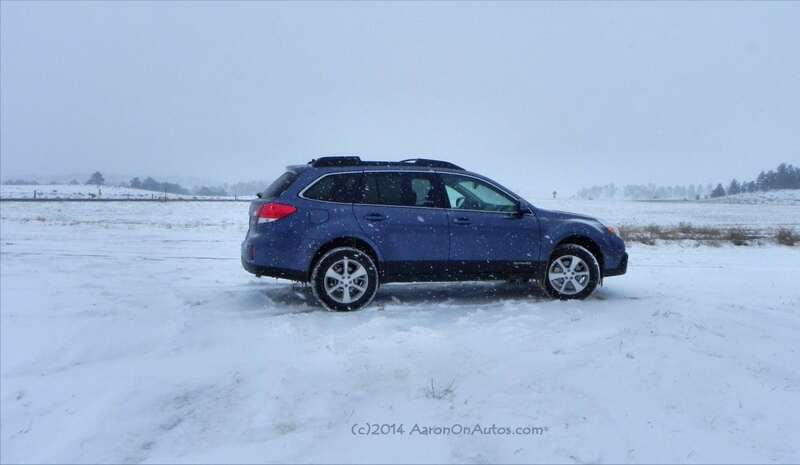 The 2014 Subaru Outback is no longer a small wagon with the ability to go off the paved path. That role has been left to the Impreza (read about it here). 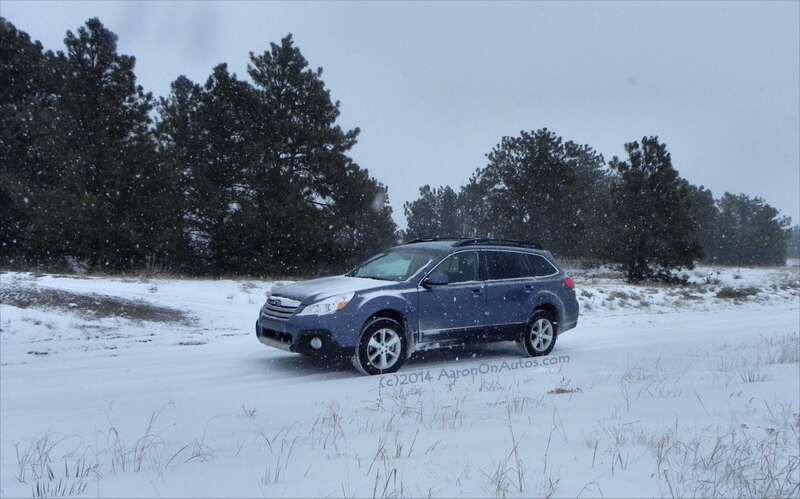 Instead, today’s Outback is a big, comfortable, crossover that matches size with many of the popular crossovers on the road, but brings that signature Subaru capability and quality people have grown to love. The 2014 Subaru Outback has several trim levels, with the base model offering beginning at $24,320 MSRP. Our model, the six-cylinder version, is in the well-outfitted Limited package starting at $32,095 and with options, we tested it at about 33 and a half. No matter your package choice, the 2014 Outback offers everything you’ll need in a combination family/people-mover and weekend companion to parts only slightly known. The four-cylinder engine option sacrifices some peppiness and a lot of towing capability in return for 30 mpg on the highway while the beefier 3.6-liter six will drop to 25 mpg, but add more cargo and towing options as well as a more muscular feeling on the road. Base model 2014 Outback standard equipment in either the four- or six-cylinder engine includes 16-inch wheels, roof rack rails with foldout crossbars, full power accessories, 60/40 split-folding rear seats, basic phone connectivity, and a four-speaker sound system with CD and iPod/USB audio interface. The Premium and Limited packages add to that base of standard equipment, including the 17-inch alloy wheels shown in this photo, foglights, heated mirrors, windshield wiper de-icer, leather-wrapped steering wheel, heated front seats, and a six-speaker sound system with satellite radio. 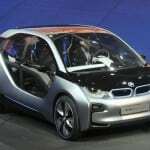 The Limited package ups that to include dual-zone climate controls, leather upholstery, wood trim, a nine-speaker Harman Kardon premium sound system with HD, and more. 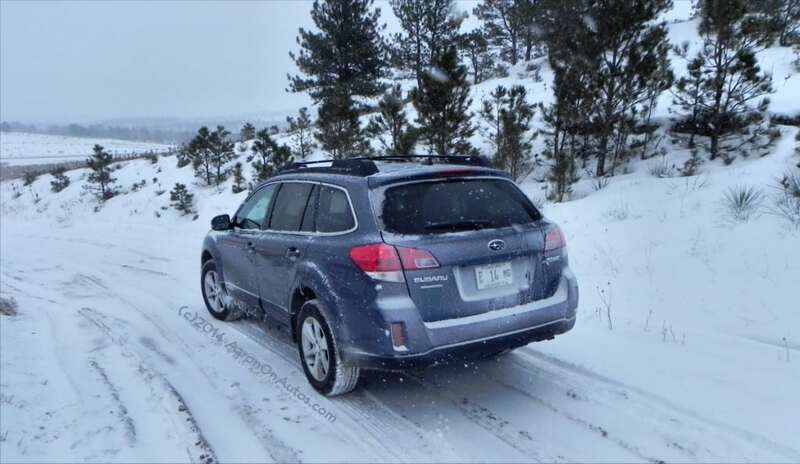 Other options can include Subaru’s great EyeSight system for adaptive cruise control (not tested here, but we did try it in the 2014 Forester), navigation, and appearance package with moonroof and styling details. When the Subaru Outback was remodeled a few years ago, it jumped in size to become a beefier crossover than it had been previously. 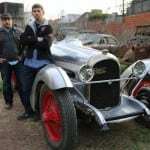 This came with some loss in maneuverability and peppiness (the latter regained with the six-cylinder engine), but returned far more interior space and ride comfort. The 2014 Subaru Outback is a natural road trip machine and family hauler. It’s ergonomic in all the right places, comfortable on the road, and equally adept at hauling adults or children. It’s massive amount of cargo space (about 34 cubic feet) is augmented by the roof rack and its many tie-down and other options. For those wondering about the roof, it’s low enough to be easy for most to access relatively easily. Towing adds even more to the possibilities, giving a good place for toys or extra cargo. 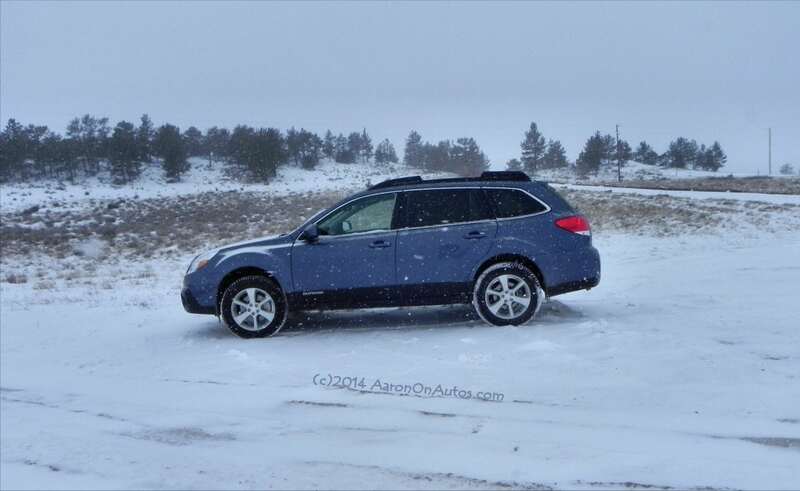 On the road, the 2014 Outback is calm, collected, and very comfortable. It doesn’t have that “get out, pal, it’s time to do something active” appeal that the Forester and Impreza have, but compared to them, it’s a much more family-oriented town driver. Whether on the highway or in town, the Outback is comfortable and confident to drive, but with one exception. The steering may be a bit stiff for many drivers. It’s not “sporty stiff,” just a little harder to turn than one might expect. 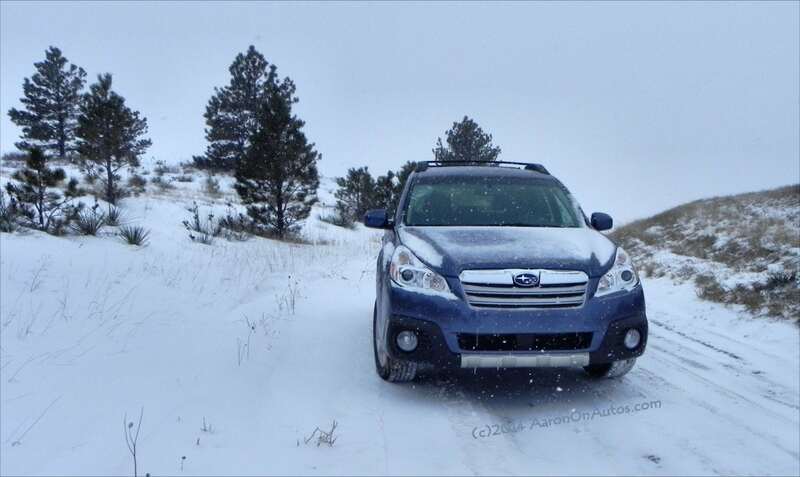 Subarus are legendary for their snow, ice, and trail capabilities. 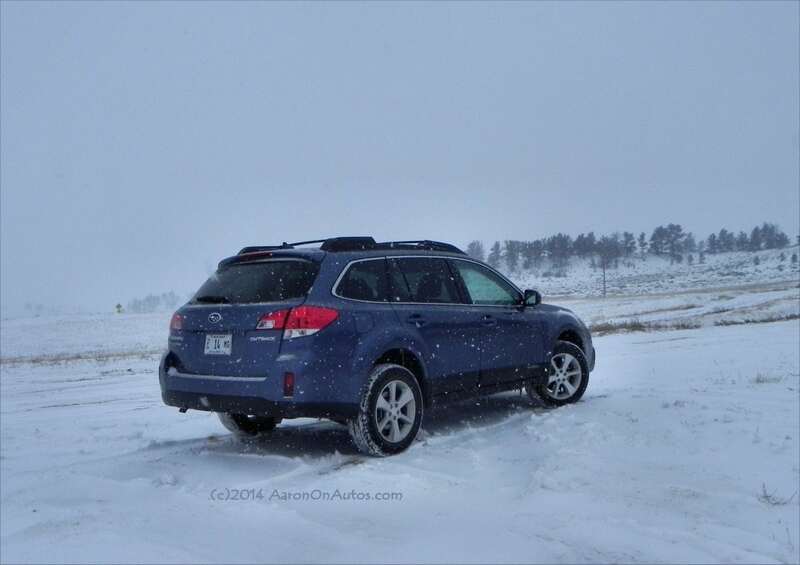 The Outback is no exception and the 2014 Subaru Outback Limited we drove was beyond capable in the Wyoming tundra. During a snow storm, which lasted (on and off) for most of our test week, we managed to drive in icy conditions, on snow packed highways, and in the hills on dirt trails that had not seen a plow since snowfall began. 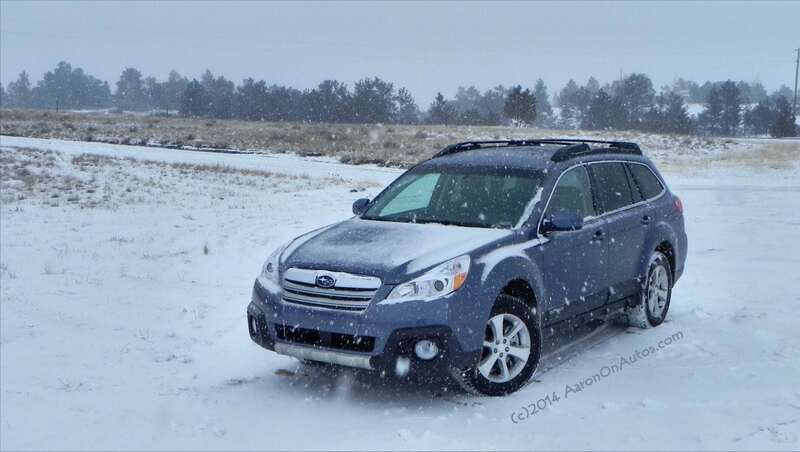 In all of these situations, the 2014 Outback gave no indication of being out of its element. The photos in the gallery below will attest to that, as we took it on our favorite trail just outside of town, a couple of miles from our house. With plenty of ground clearance for the offroad it’s capable of, the Outback was a breeze to take into the wild. The 3.6-liter horizontally-opposed six-cylinder engine in the Subaru Outback offers 256 horsepower and 247 lb-ft of torque going through a five-speed automatic transmission (no manual is available). 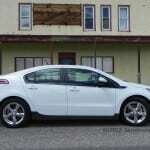 It has great acceleration, jumping from zero to sixty in less than eight seconds and with EPA fuel economy at 17/25 city/highway (20 MPG combined). It’s a responsive engine, though it has an odd turbo-lag quality that creates pause between pressing the accelerator and feeling the response. 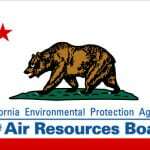 It provides excellent power output and a strong feeling of well-being, however, and adds a 3,000 pound towing capacity to the Outback and many may find useful. 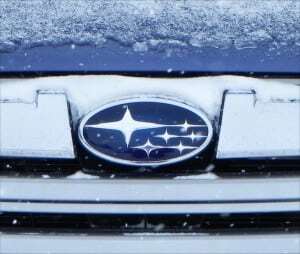 As always, the HO engine design Subaru is famous for provides a quiet idle and smooth operation, but delivers a wonderful exhaust note when pressed. There are few competitors in the “station wagon” segment which the Outback is usually placed within, but given its proportions and capabilities, the 2014 Outback competes with most crossovers of its size. These include the Honda CR-V, Mazda CX-5, and others. None will match the Outback for its offroad or all-weather capability. Great family vehicle with lots of versatility. It’s got cargo room to spare, a lot of options, and seats five comfortably. 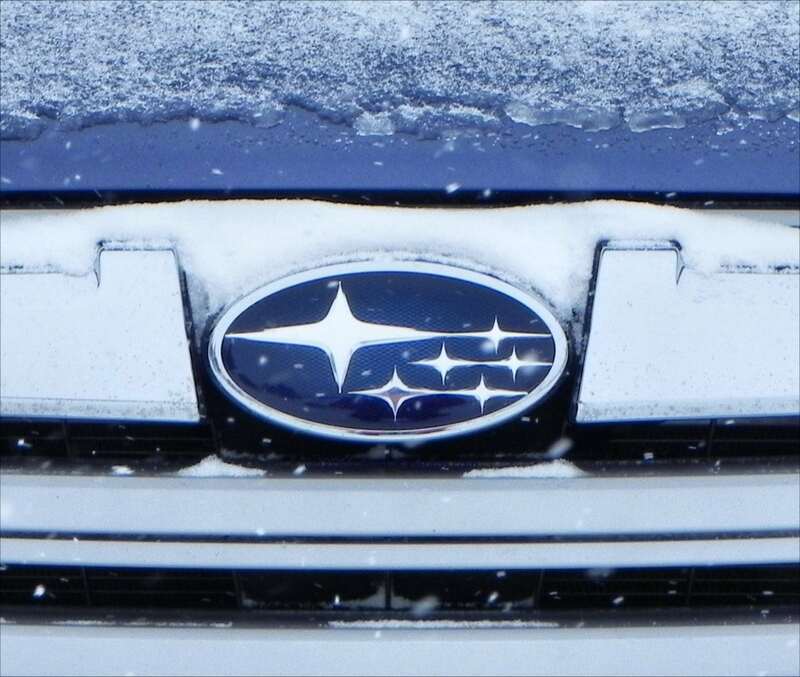 Continues Subaru’s excellence on and off the road. In ever situation, it’s confident and sure-footed. Tough steering that many will find requires more arm strength than necessary. Low fuel economy for the segment when the six-cylinder is chosen. On the up side, many vehicles of this size are dropping their six-cylinder options for less capable four-cylinder engines while the Outback is retaining its towing option. 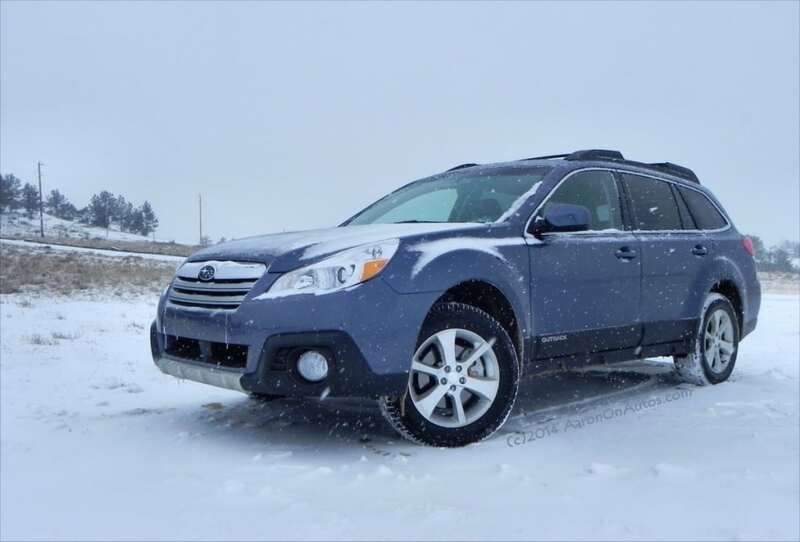 The 2014 Subaru Outback 3.6R Limited is a great choice for families who want an everyday people-hauler that can double as their weekend getaway machine. No matter what type of weather you encounter or how much dirt lies between you and the lake or river you want to explore, the Outback will get there. Our test vehicle was on loan from Subaru as a press fleet vehicle for about a week. 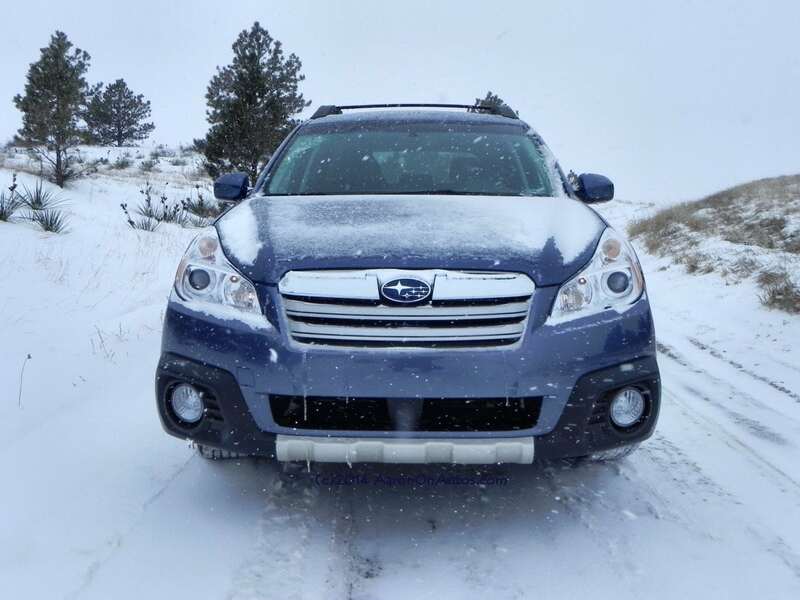 During that time, we put about 420 miles on the 2014 Outback, including city, highway, freeway, and offroad situations. Weather conditions ranged from good (for winter) to heavy snow and sleet. Our test time also included a short family road trip of about 240 miles around.